Creating amazing stuff to help you be the hero of the story. Scarecrow is the founder of The EGN. Having been with the team since its induction. He Manages all areas of The EGNs operations, servers, gaming, and news. Nero has been with The EGN since the start of it all. He helps make sure all our gaming sections are working as needed and all are having fun. Words Joined the EGN team in part to help bring attention to what we are doing. Working with community reach out, publishing gaming industry news, and more. What is The Empire Gaming Network? The Empire gaming network is a community of like minded gamer's, Developers, Streamers and content creators. The goal of The EGN is to provide a area for its members to not only have a safe and enjoyable area to play and meet other gamer's, but to expand their following and find new and creative outlets for their creations. What does The EGN Provide for a simple gamer? The EGN's primary focus is as a gaming community, we want to provide a area for gamer's to come, hang out and find other gamer's to play with. To help facilitate this, we provide not only our website, which allows members to communicate each other and share information, but Discord, teamspeak, gaming servers, Facebook group, steam group, and our other social platforms gamer's love to use. Doing this provides a well rounded communication network so that all of our members and visitors can find servers to play on and new friends to play with. What does The EGN Provide for a developer? Empire Gaming isn't just a gaming group, we're also a developers best friend. As some of our members and staffers are developers our selves, we love to help our our fellow devs. 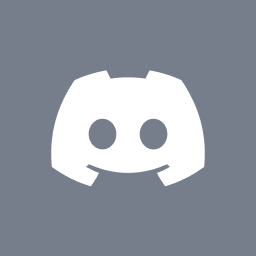 If you have a great idea for a game, a mod, a chat bot for discord or other programs, or something to help our community, We want to help you! Server space, testing areas, beta testers and even promotion of your development is what we can do for you! What does The EGN Provide for a streamer or content creator? Content creators and streamers are the life of the gaming world now adays, watching you favorite streamers or funny gaming videos on youtube. At the EGN we want to help you grow your following and prosper along with us. This is why we do our best to help you make your self better and help drive more viewers to your channels. With the combination of all of our communication tools such as Discord, Teamspeak, Facebook, twitter, steam and so on, we promote our streamers when they go live, and announce new videos when our creators publish a new video. We also provide a network of other communities we promote in to help expand not only our base, but yours as the content creators as well. We do this by working with other communities and channels, to cross promote our channels that we sponsor and work with. We also provide the ability to multi-stream, which is in essence streaming to multiple locations, but with you only needing to stream to a single point. Doing this allows you to expand where you are seen!